Summer is almost at its fullest capacity, but are your commercial refrigerators? Your store or supermarket is in desperate need of commercial refrigeration that is energy efficient and highly effective, in order to keep your customers coming back for more. 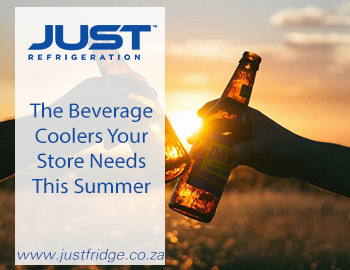 Your beverage coolers, in particular, are enormous assets in the warmer months, as passers-by, bustling worker bees and relaxed holiday-makers clamber in to get an ice-cold drink. We have compiled this blog to help you select the perfect beverage coolers for your store, so you can keep your thirsty patrons under control. Our most compact commercial refrigerator comes in the form of the sliding door MPM890SD model. This 580-litre beverage cooler is designed to offer efficient cooling without consuming a large amount of floor space. This well-lit model sports quality workmanship and durable design to give you the biggest bang for your buck. The cooled air is evenly distributed throughout the unit and runs off of an ozone friendly refrigerant so that you can have peace of mind, knowing you are not profiting off of the decline of the planet. This two-door solution holds four shelves per door and can hold a fair number of cans and products for sale, considering its compact size. The temperature ranges from 3-5C for effective cooling. The exterior dimensions are: 1600mm height x 890mm width x 630mm depth. Next up is our slightly larger sliding door refrigerator, the MPM1140SDE model. This sturdy chromadeck model has rigid self-closing doors fitted with armoured glass for safety purposes and promises to offer you a reliable refrigeration result. With two doors and a 753-litre capacity, this model can hold approximately nine hundred and eighty 330ml cans of soft drink! Standing at 2020mmm tall, 1140mm wide and 630mmm deep, this sliding door beverage cooler is ideal for supermarkets. Branding can be applied to the side panels and header panel, too, for maximum brand visibility and consumer impact! If you feel like the first two beverage coolers weren’t quite big enough for your needs, then look no further than the enormous MPM1360SD model. With self-closing doors and armour glass, this sizeable solution is suitable for any application. This model sports two doors with 4 shelves per door, offering a case pack-out of around one thousand and eighty 330ml cans! This compressor cooled refrigerator will keep your cooldrink at between 3 and 5°C for the crispest taste. Standing at 2020mm in height, 1360 in width and 630mm in depth, this commercial refrigerator is best suited to larger stores and supermarkets. Are you looking for a beverage cooler that can stand remote, and offer retail from all sides? Well, the FLC/L model may be right for you! This four-door solution offers three shelves per door, with an overall capacity of 357 litres. Whilst it is not the largest solution, it offers 360° retail opportunity. This efficient little refrigerator stands at 1365mm height, 890mm width and 490mm depth for your convenience. Branding can also be applied to this unit, on the side and header panels. If sliding doors are not your style, then perhaps a standard swing door solution will suit you better. There is little difference between the two types of doors, but swing doors do need to account for store space. Our standard swing door beverage cooler – the MPM108CL model – has a 250-litre capacity, with one door and three shelves total. The case pack-out is around two hundred and fifty-two 330ml cans. The unit is cooled by compressor, and sports maintenance free condensers for your convenience. With national sales and service back up, you are likely to have a wonderful experience with your refrigerator, worry-free. Led lighting, push-on door seals and low maintenance parts make this refrigerator perfect for smaller businesses, too. The dimensions are discreet, standing at 1365mm height, 580mm width and 660mm depth. Next up is a slightly larger swing door solution: the MPM120CL model. This durable model has a 531-litre capacity, with one door and four shelves overall. The case pack-out is approximately six hundred and forty 330ml cans, offering a sizeable solution for supermarkets and stores. Cooled by compressor and ozone friendly refrigerant, you needn’t worry about this model – it is dependable and efficient. This larger model stands at 1995mm height, 635mm width and 750mmm depth. There is also considerable space for branding on the side and header panels, allowing you to get your brand or sponsor message across with ease. The first of our two-door models in the Swing Door Department is the MPM1140CL-H model. This sizeable beverage cooler is designed to deliver efficient and highly effective cooling without harming the environment, thanks to the ozone friendly refrigerant used. Our quality materials and workmanship are backed up by national sales and service support, so that you have peace of mind. The 870-litre capacity is no joke, enclosed by two swing doors and four shelves. The unit cools to between 3 and 5°C for ultimate freshness and you will have little maintenance trouble, thanks to highly effective condensers. Branding is supported on the side and header panels, making this unit ideal for retail environments. Lastly, this unit stands at 2020mmm height, 1130mm width and 673mm depth. Last but certainly not least is the enormous MPM240CL model. This model stands at 1995mm height, 1280mm width and 750mm depth, offering an estimated case pack-out of one thousand one hundred and fifty-two 330m cans! With two doors and four shelves per door, this unit is great for merchandising large amounts of soft drink and product, stored at between 3 and 5°. The overall capacity is 1155 litres, with the unit supported by stainless-steel interior and exterior finishes and armoured glass. The refrigerator is designed to deliver eco-friendly commercial refrigeration, thanks to its efficient design, LED lighting and ozone friendly refrigerant. Cooling is evenly distributed to ensure even temperatures throughout and maximum energy efficiency overall. Large amounts of branding space are present, too, on the header and side panels, so that you can put your brand message across without being missed! If you aren’t sure which of our beverage coolers is right for you, we suggest taking a closer look at our downloadable catalogue for further details and specifications. 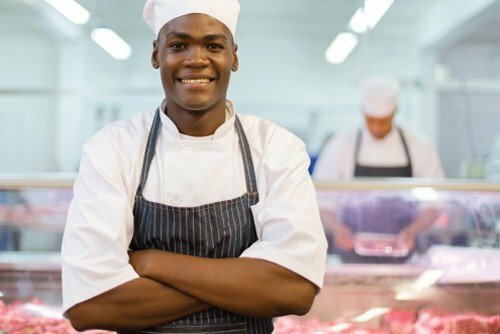 If you would like some professional input, don’t hesitate to contact us and we will help you choose and install the perfect commercial refrigeration solution for your business.